Last week we released the VR version of Jake & Tess' Finding Monsters Adventure, based on the smartphone version of the game. Finding Monsters was Black River Studios� first original game. The Mobile version is available to a wide variety of Android smartphones and tablets. The game's primary challenge is to photograph cheeky monsters using a magical camera with the ability to save this dream world that is slowly fading away. Developing a VR game, even for a pre existing smartphone game, is an invitation to think about things in new ways. Despite the hardware changes, the player experience is also completely different. This is something we need to take into consideration when designing the world and interactions if you are aiming for the best possible results. We noticed Finding Monsters gameplay was naturally fit for VR, mainly because of the camera control which used the gyroscope in a way that�s not too far from natural head movement. During the development period for the mobile version, which had the most resources allocated, there was always a small team learning and experimenting with VR, which made a huge difference in the end. 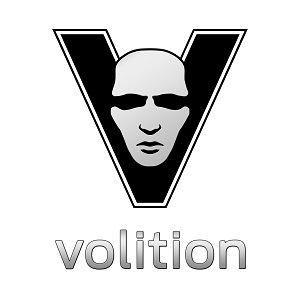 After the conclusion of the mobile version, the studio resumed work on the VR version with a slightly bigger and different team. We all agreed that the VR version should not just be a port of the mobile version, but a proper VR game using what we've developed and learned along the way. It deserved to be it's own, unique Finding Monsters experience, exploring the VR environment and free from anything that would derail from the best our core gameplay could provide. This is a series of three articles to present what we consider to be essential for building up the VR version from the Game Design standpoint. Part I will focus on the most important decision that helped us achieve this; cutting a majority of core systems and only keeping the Dare System. The mobile version of Finding Monsters had many features that didn�t get into the VR version. One of those was the scoring system. monster poses that score different according to rarity and "cool factor"
This is a high scoring picture, since it features the end of a rare pose, all environment elements that count, Whoopsie in frame, fireworks and selfie. In the end, you could get an additional star by completing a dare list with three challenges. Stars were used to unlock regular levels, special levels and masks. Mobile version features 16 levels total, with 3 special ones and 15 masks. Masks were meant to be used during selfie mode, which is a feature that we didn't bring to VR, as we wanted to avoid messing with the camera. We also wouldn�t have distinctions of regular and special levels. This meant we�d have less rewards, and it called for a leaner system. The main reason that made us decide not to have scoring was the subjective factor of each picture. While our system had objective parameters to measure picture quality, we discovered through playtesting that people quite often and for different reasons disagreed with the evaluation of the photos. Even though the system worked as planned for mobile, we learned that aesthetics go beyond what we were able to manage. Playtesting also revealed that people reacted and had more fun by completing dares. This is the dare list of Grasslands special level. Cutting the scoring system also meant simplifying progression, which was something we wanted for our game in VR. Redesigning progression came in handy because while we wanted players not to feel tied to a level-per-level progression we still wanted to give players just enough of challenge to keep them engaged. The dare system consists in a series of small objectives that reward players for exploring the levels, monsters behaviours, and sometimes acting within proper time. It was a system that came late during mobile development and proved to be more successful than we anticipated. People were enthusiastic to replay levels in order to complete dares. We knew we had found the right system for our VR gameplay when people would consistently mention the Dare List as the main factor in wanting to replay a level. This gave us the confidence going forward that the Dare List was a wise decision. Dare Lists grew from three entries per level to five. This was a reasonable number, because designing more dares meant increasing the scope of the levels and we couldn't risk missing the deadlines we had already committed. VR dare list has five entries and a ticket is awarded for each completion plus an extra one for completing all entries. Instead of having masks as rewards, the team agreed to create plushies of the game characters. This was an idea that originated early in the project but was cut due to the fact that the VR version was only a port of the mobile game. Each completed dare would award the player with a ticket, just like at midway-style arcade games. After a certain amounts of tickets you'd be able to redeem them for plushies from a magical chest in the game hub, which is Jake and Tess�s bedroom. The team loved this idea so much that the idea was integrated. The interaction of picking up plushies and throwing them around the room was rewarding and especially fun when throwing them at the sleeping characters. This was a proof that our systems and features were coming together perfectly. Players have 8 plushies to unlock with collected tickets. A suggestion we kept receiving since mobile development, was to have real time feedback of dare completion. Fortunately we managed to have some engineering time to implement this system. At the end, it proved to be the cherry-on-top that played a major role in the VR version of the game. Providing real time feedback for dare completion was a great improvement for the dares system. Trading in the scoring system for dares was the starting point for the new design and set the goal for the player experience we were aiming for. As soon as we had a playable version with only dares, we playtested it around the studio and we could see the positive results from people�s expression and as they kept mentioning they wanted to play again to complete dares that they have missed. This also served as a great start for the new team, since people were motivated by seeing the improvements and it helped keep spirits up for delivering high quality content in such a short time. When designing a VR game, having a previous game as reference helped a lot in diagnosing what is fun and what isn't, even if that game is on a different platform. Just from observation of people playing, we noticed that people didn't feel the scoring system was ordering photos in a satisfactory way, and that was leading to a not-so-great experience. Detaching ourselves from previous designs that worked on other platforms and completely removing them was a great choice for the overall game experience. At the time it seemed like a harsh decision, but now, looking back, it was totally worth it.